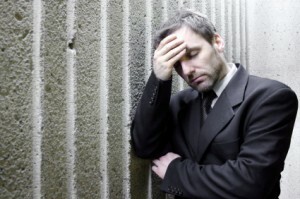 Home » Posts » How to Treat Depression – and Beat It! How to Treat Depression – and Beat It! The vexing dilemma of those afflicted with depression is that the condition is physically, mentally and emotionally draining. It leaves depressed patients with diminished energy and very little desire to do the things that would alleviate their symptoms. This catch-22 belies the fact that depression is a curable condition given time and the appropriate therapies. In general, depression can be treated using psychotherapy, pharmacotherapy and supportive measures in combinations attuned to the needs of the patient. Addressing the underlying causes and environmental factors that may have triggered depressive symptoms is crucial to long-lasting recovery. The importance of timely intervention cannot be stressed enough. When symptoms of depression manifest in oneself or in loved ones, immediate action is recommended to address the issues, manage the symptoms and keep the depressed person engaged in the process. 1. First, acknowledge that symptoms exist. Accept that some factors and events cannot be changed at will. 2. Build positive and supportive relationships. Family and friends can provide the initial stages of talk therapy. A sympathetic social circle can seek intervention with the help of a professional if necessary. 3. Seek professional help. There are many treatments available today to manage and treat depression. Pharmacotherapy can involve the use of selective serotonin re-uptake inhibitors, serotonin norepinephrine reuptake inhibitors,tricyclic antidepressants, monoamine oxidase inhibitors and Bupropion. Psychotherapy and counselling can form part of the treatment plan along with supportive therapies. 4. Lifestyle changes can have a positive effect on mood disorders. A healthy diet, regular exercise and adequate sleep have been shown to boost energy and lift negative moods. 5. Seek professional help for nonmedical situations that may be causing or aggravating depression. For instance, if financial stress is an issue, seek help from a financial expert. 6. Explore alternative remedies. Herbal supplements such as St. John’s Wort, stress management techniques, massage therapy, meditation and yoga have all been recommended as natural depression treatments. Any relaxation technique that can relieve anxiety will ease symptoms of depression. However, care must be exercised that natural remedies do not supplant doctor recommended treatments. For a list of homeopathic remedies and more information on how to treat depression naturally click here. Some people are at greater risk of suffering from depression than others. Being genetically predisposed to depression will make it more likely that a person will develop mood disorders following a causative event. Postpartum depression occurs around the time women are facing their new role as caregiver of an infant who is completely dependent on them. It can be managed with counseling and medication. Talk therapy is often advocated so that the new mother can discover the underlying issues causing her anxiety and feelings of inadequacy. Medicating with antidepressants can be attempted if breastfeeding issues are addressed properly. Hormone therapy has also been recommended to alleviate the rapid changes in hormone levels brought about by childbirth. Seasonal depression leads to depressive symptoms in sufferers during certain times of the year, most often winter. Since weather changes are associated with the onset of this periodic mood disorder, light therapy can be helpful. Exposure to bright fluorescent lights or temporary relocation to brighter locales during the winter season can have a positive effect on those suffering from seasonal affective disorder. Antidepressants are also used in conjunction with psychotherapy to relieve the symptoms of the condition. Bipolar disorder is a mood disorder that causes the sufferer to experience mood swings – usually between highs and lows. The treatment of manic depression requires both therapy and medication to manage the cycles of severe depression and manic episodes. Patients are usually asymptomatic in between episodes. Health care professionals seek to regulate these episodes through judicious supervision and appropriate therapies. Left untreated, bipolar disorder will worsen over time without treatment. A delay in diagnosis and treatment can severely affect a person’s ability to function socially. As its name implies, menopausal depression affects women who are going through menopause. Medicating with antidepressants and hormone replacement therapy has been effective in managing symptoms of depression in menopausal women. Lifestyle changes that include diet, exercise and relaxation therapies are helpful in managing this type of depression. More than any therapy, teens and pre-teens need a lot of support to counteract depressive symptoms. Gender issues, body issues and peer pressure tend to aggravate depressive tendencies. Supportive discussions that address these issues will help young adults to deal with them. Antidepressants have also proven effective in achieving complete recovery for adolescents suffering from depression. Health professionals will perform a complete workup of patients presenting with symptoms of depressive disorders. This will facilitate the creation of baseline records that can be useful in determining treatment progress at a later point. These records may also pinpoint contributing causes of depression that can be addressed through therapy and lifestyle changes. Dealing with insurmountable debt can be very stressful and distressing, more so for those who have to deal with this situation over a prolonged period. Likewise, those facing a business downturn may get depressed, especially coming off a successful career. Fear, anxiety and shame over one’s economic hardships can lead depression-prone persons to alienate themselves from their social network exacerbating their negative moods. For most adults, the job is as much a livelihood as it is a social experience. Job loss equates to loss of self-esteem, financial problems and separation from one’s professional circle. Additionally, inability to find another job quickly can exacerbate the stress and lead to depressive symptoms. Being diagnosed with a debilitating condition can trigger depression. Facing a grave illness immediately alters one’s expectations and outlook for the future. Likewise, dealing with long-term illness can sap a patient’s stores of positivism. Depression and alcohol are closely linked in a cruel cycle of cause and effect. Those who turn to alcohol to stave off depressive symptoms end up experiencing mood downturns at some point during the drinking binge. Alcohol is a known depressant affecting the central nervous system. Those who are predisposed to depression will tend to sink further into depression as alcohol use increases. But as depressive symptoms worsen, patients turn to alcohol more and more, aggravating both depression and alcoholism. Some 30 to 50 percent of alcoholics exhibit symptoms of depression. Divorce and breakups especially when the relationship is a long-term and valued one can be devastating emotionally and financially. There can be some loss of social status as a result of losing one’s place in an established social unit. Emotional upheavals can trigger depressive episodes. Losing a loved one due to a fatal disease or accident can lead to major distress. However, studies have found that nonpermanent losses such as a child leaving the family home to attend college can drastically alter family dynamics. Women more than men tend to suffer depression attributed to the empty nest syndrome, possibly because mothers’ sense of self is more closely linked to their role as a parent compared to fathers. Onset of puberty in adolescents and menopause in older adults is marked by hormonal changes. These changes affect mood. In adolescents, hormonal fluctuations coincide with the difficult period when these youngsters have to deal with peer pressure and the need for social acceptance. These stresses combined with physical changes can be emotionally challenging for young adults. In perimenopausal and menopausal women, hormonal changes can lead to lower energy levels, increased anxiety and lower libido. Men undergo a similar decline in mood and energy levels around middle image. Caregivers to patients to suffering from a serious illness or a long-term health condition often suffer from social isolation. Being a full-time caregiver is physically and emotionally taxing. Without respite, feelings of resentment and guilt will build up, possibly leading to depression if left unresolved. Depression is a manageable and curable condition. It is not the end of the road but the beginning of a journey of self-discovery, resilience and healing. Let the journey begin.